All of these are bank owned homes currently for sale in Dove Canyon. We are not including any other Rancho Santa Margarita listings, which can be found following the link. 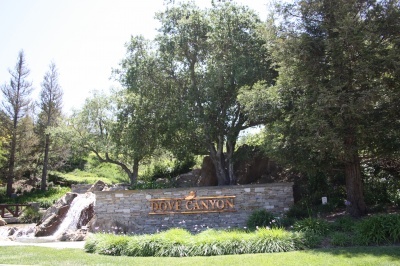 Search all Dove Canyon REO listings or properties that are bank owned within specific price range below. The terms "foreclosure," "bank-owned property" and "REO" are used interchangeably these days. Technically, a "foreclosure" is the process where the bank or lender goes through while the borrower stops making payments on the mortgage of their home. You can find a list of foreclosure homes in Dove Canyon which may likely become ' REO ' or real estate owned. Basically when the home gets foreclosed, and the borrowers get evicted, the home goes to auction and the bank buys it back. The home becomes bank owned then. The list of homes provided above, are already 'owned' by the bank. Those homes already went through the foreclosure process and are ready to be sold by the bank, as they are on the market as REO's. Experienced representation is very important in negotiating and buying a Dove Canyon bank foreclosure. Unforseen circumstances can change a good deal into a not so good deal. Due to the high demand for foreclosures and the complexity of short sales, it is extremely beneficial to have Real Estate professionals who are experienced in getting your offer through while negotiating the best possible price along with protecting your interests throughout the escrow process. We are dedicated Realtors who have years of experience in negotiating the purchase of distressed properties. Please feel free to contact us for valuable insight on how to buy a bank foreclosure and/or short sale. OCExecutives specializes in real estate transactions of Foreclosures in Dove Canyon, California. Contact us today to sell real estate or buy real estate listed as foreclosures in the community of Dove Canyon or for more information about any of these Dove Canyon foreclosures. If you would like to see a list of homes in other communities in Rancho Santa Margarita or Orange County, follow the links above, or click here for other Rancho Santa Margarita Real Estate or the specific Dove Canyon Real Estate.